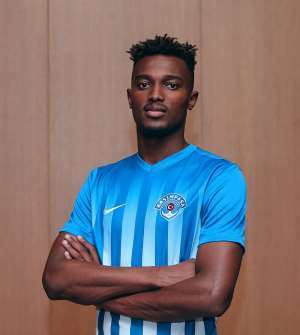 Atletico Madrid-owned Bernard Mensah could be part of a makeweight deal with West Ham United. The Hammers was previously linked with the attacking midfielder back in 2015 when he was in top form for Portuguese side Vitoria Guimaraes. But the 23-year-old Ghana international ended up at the Spanish side. Mensah failed to break into the Atletico first-team and spent time on loan with Getafe, back at Vitoria. He seems to be recapturing his old form at Turkish side Kasimpasa.